When a group of world-class Russian ballet dancers visits L.A., he signs on as a bodyguard. It’s a piece of cake. All he has to do is hang out with beautiful women. Then one of his charges is kidnapped from under his nose. In pursuing the kidnappers, he evades the FBI, finds bullet-riddled bodies near the Hollywood Sign, and dodges bullets. 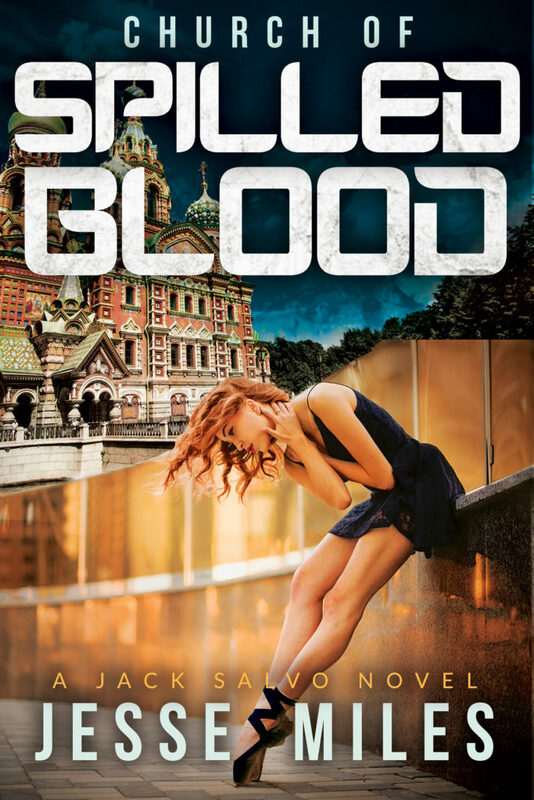 Drawn into a web of deceit and maniacal revenge, he finds himself in Saint Petersburg, Russia. Now he’s a fish-out-of-water-an L.A. private eye in a strange land. The most popular historical site in town is called The Church of Our Savior Built on Spilled Blood. When Salvo tries to save the life of a ballerina with whom he has developed a close personal relationship, the church lives up to its name.